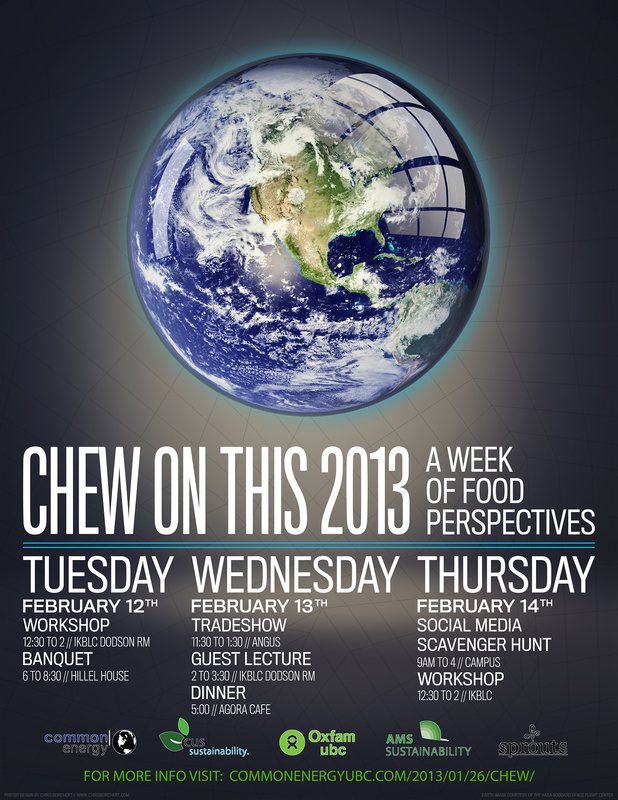 Chew On This 2013 is a collaborative event from CUS Sustainability, Common Energy and Oxfam UBC. Over February 12th to 14th (Tuesday to Thursday), a variety of academics, business people and workshop facilitators will educate the UBC community about sustainable food and food security. The majority of these sessions will be free of charge to participants and interactive education will be emphasized, on food issues such as local sourcing, food security, fair trade, and more. All events are free unless a price is mentioned! The 2013 Student Leadership Conference (slc.ubc.ca) took place this past Saturday, Jan. 12. This incredible one-day conference each year is a time for student leaders from across the university to come together to connect, learn, and share ideas and inspiration. Common Energy UBC was highly involved in this year’s SLC. 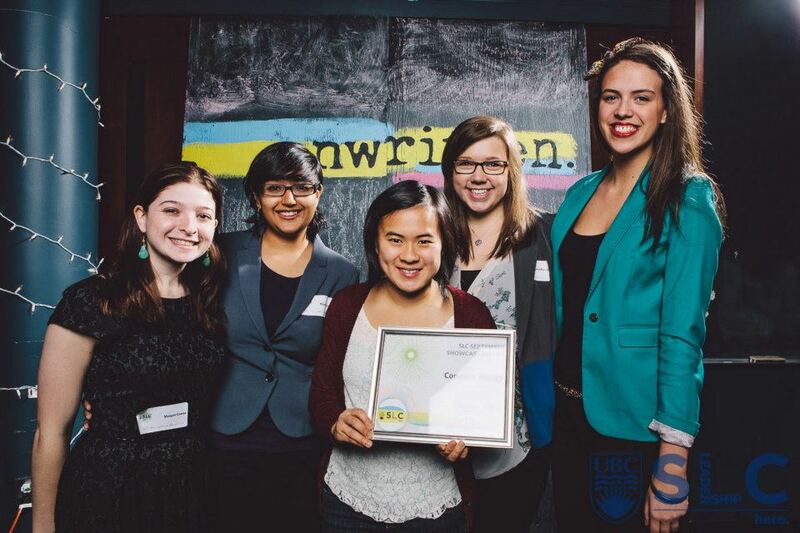 We were awarded the SLC Showcase award which “aims to recognize student-led initiatives across campus that have contributed positively to the UBC community”; helped to organize the “Local Lunch”; ran a booth at the opportunities fair; presented as a Highlighted Project; and had many of our members attend! Check out our photos below of some of our execs receiving the Showcase Award. We had a lot of fun! Thanks to the SLC planning committee for this incredible award and we look forward to working together in future conferences! We are really excited about all of the plans on the go for term 2. 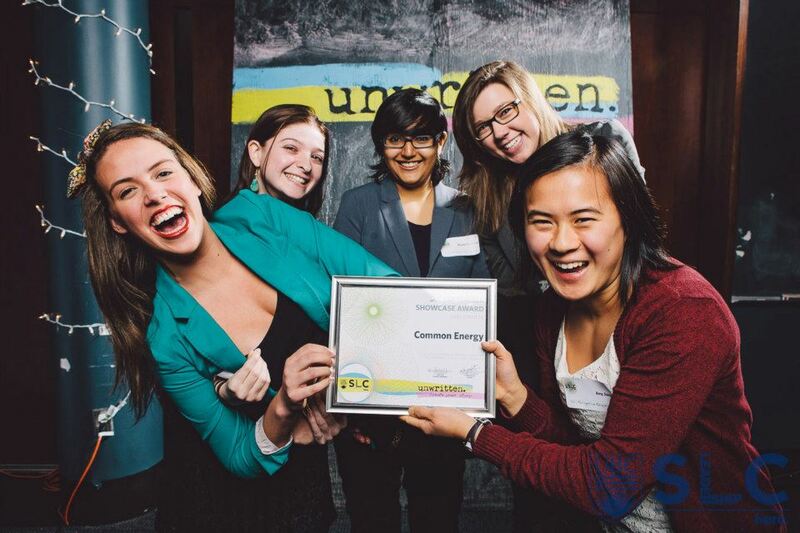 There are tons of fun opportunities to get involved, attend events, and make UBC a more sustainable campus. Check out the term 2 descriptions for all of the teams below and, as always, don’t hesitate to email commonenergyubc@gmail.com if you want to find out more! Challenges: this team focuses on energy conservation. In term 1 it runs the Do It in the Dark energy competition in first year residences and in term 2 it runs the WWF Sweater Day and Earth Hour events on campus. Dialogue: this team works very closely with UBC Campus Sustainability to conduct research for the new sustainability engagement strategy, In the past term they did a great deal of surveying and so with that data they will be conducting a number of pilot programs in dorm and suite style residences as well as offices. Tangible Solutions: this team is more flexible and adjusts each year to suite the needs of our campus. This term’s focus will be on implementing a Bottle-Water-Free UBC campaign and continuing the UBC’s Got Skillz DIY workshop series. Food: this team works on showing students why sustainable food choices are important and making such choices more accessible. This term, Food will be launching “Chefs on Campus” (an online recipe guide with menu items sorted by season, local ingredients, affordability, etc) and running the “Chew On This” conference.